The pivotal piece of music from ‘The Lords of Salem’ is now available to stream on Soundcloud. 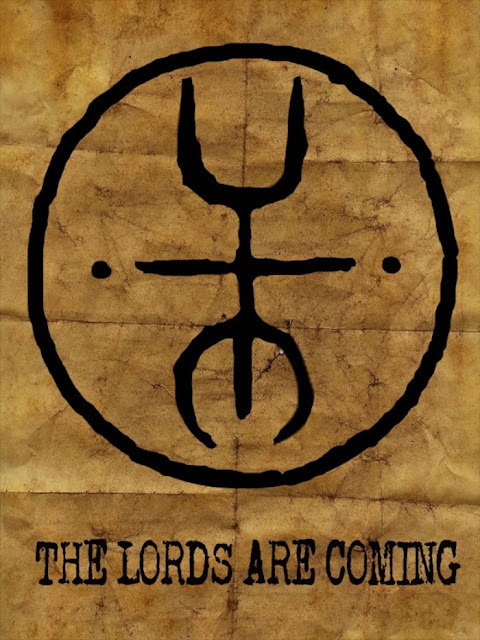 ‘The Lords’ single is a bewildering rollercoaster of folk and witchcraft that will entice a legion of fans. Even in a year filled with success stories for experimental music so far, it’d be hard to deny that 2013 hasn’t so far belonged to The Lords. In a new music world where everything you need to know about a band is readily available on the internet, The Lords have succeeded in being heard whilst staying firmly in the shadows. Their debut single ‘The Lords of Salem’ has found HUGE success receiving undulated praise from every newspaper, magazine and website around. ‘The Lords of Salem’ was written way before the hype headed from the underworld to the cosmos though. It’s repetitive hook will swirl menacingly around you for days upon end. It’s that unshakable! Their effortless production is a perfect exercise in the simpler the better. The song is also featured on ‘The Lords of Salem’ soundtrack. Make sure you catch the DVD upon release April 22nd from eOne Momentum.